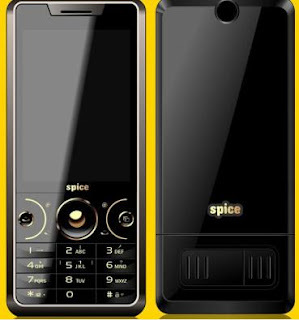 Spice’s latest off ering is the world’s first glassless 3D phone, the M-67 3D. It has a lightweight streamlined look, but the black and gold combo is a little loud. The keypad layout, while neat, is too fl at, making typing a bit uncomfortable. It has a proprietary USB/charging port and 2.5mm handsfree socket, which is annoying. The M-67 is equipped with a 2.36-inch LCD panel with a 240x320 resolution. It uses an auto-stereoscopic 3D display, so it doesn’t require glasses to view images or video in 3D. The 3D UI is a bit gimmicky and doesn’t convert all screens to 3D. At the end of the day, it’s still the same Java platform. Navigating the menus is speedy and there’s no lag while typing. Call volume was a little too low for our liking. Audio quality was not bad, but the higher frequencies were a little sharp. This can be adjusted using the 8-band customizable EQ. The FM radio worked well, with clear reception when traveling. The video player allows you select 2D or 3D content, but watching these videos can be quite a strain on your eyes. We faced formatting issues while trying to convert and play 3D videos from YouTube, and even though the bundled videos played fi ne, the framerates were wonky. 3D images look good, but the videos are almost certain to give you a headache. 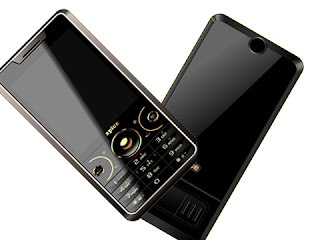 The M-67 3D is GPRS-enabled handset. The Spice FunSpace Section offers quick links to Facebook, Vuclip, and Wapdia, and Nimbuzz for chat. Bluetooth with A2DP and USB connectivity are also available. The mobile tracker and remote wipe options are useful in case of theft, and there’s also a blacklist function for calls and messages. The 2 megapixel camera is as basic as it gets, and image quality is just plain bad. The battery off ers two days of usage with a good amount of talk time. The idea of glassless 3D on a phone this cheap was astounding, but the overall experience is less than impressive.